AthTek NetWalk is a comprehensive network monitoring tool which can be used as intrusion detection system (NIDS) for business networking. It captures packets and achieves high performance in packet sniffing. 100% SafeNetwork intrusion detection system (NIDS) identify the instrusion properly. High PerformanceEffortlessly process large packet files in seconds, with no data missing. Trigger AlertsAdvanced packet filter enables user to trigger alerts in need. Intelligent NavigationAllow to switch between analysis report and data details flexibly. TroubleshootingProvide a shortcut to network troubleshooting with traffic data decoding. Why This Network Monitoring Tool? You may be pressured to the network mangement problems, such as network monitoring, packet sniffing, traffic analysis and troubleshooting. Especially for the enterprise network, it contains huge business data which should be protected seriously. A good network monitoring tool helps to increase network performance, security, and compliance. It monitors the performance of network and applications and provide an overview with rich analysis reports. A good network monitoring tool should be able to trigger alerts when the network is under attack for some reasons, this is what we called NIDS (network intrusion detection system). AthTek NetWalk has an great NIDS features for your network security. AthTek NetWalk is professional in packet sniffing and decoding. It captures packets during network monitoring, and decodes these packets to extreme details. Skilled network administrators will use AthTek NetWalk for network troubleshooting. It can track any client on the network and find out the reason for a traffic burst. How to deploy NetWalk to my network? AthTek NetWalk can be use on almost all network types. View how to deploy from our FAQs. The best choice to gain visibility on a switched network is to insert a hub to all the connections. AthTek NetWalk will monitor the traffic through the public port on hub, so that all the communications throughout the network is available and visible in AthTek NetWalk. Normally it has three ports on it. Usually the port-1 will be attached to Protected Switch; the port-2 will be attached to Firewall. AthTek NetWalk will attach to the port-3 to monitor all the traffic data throughout your network, so you can know everything about the Tap network. Most switches support mirror port, AthTek NetWalk can help with your network monitoring too by using the mirror port. First you need to configure the mirror port on the switch, and then connect AthTek NetWalk to this mirror port. This kind of mirror network monitoring works like the Tap network, but it will not break the full duplex nature. What I can do with AthTek NetWalk? AthTek NetWalk could be the ultimate solution for your network monitoring and packet sniffing. From the rich graphical dash board you can easily get your network status overview. It shows the real-time network monitoring data. This network monitoring tool is expert in packet sniffing and decoding. You can see the real data surfing your network. With the advanced packet sniffing and packet decoding function, you are allowed to see the communication details over the network. When you analyzing the packet with AthTek NetWalk, you can even see the network conversation flow from point to point with detailed information. According to our test, AthTek NetWalk can open as large as 4GB packet files for analysis. Most of the popular packet sniffers get stuck with 1GB packet files. You can view the compare results. 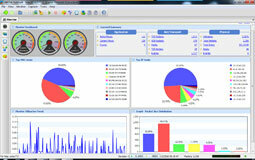 AthTek NetWalk is the ONLY network monitoring tool which can perfectly support IPv6. Most of network monitoring tools are based on IPv4. AthTek NetWalk provides the ONLY solution for IPv6 network monitoring! 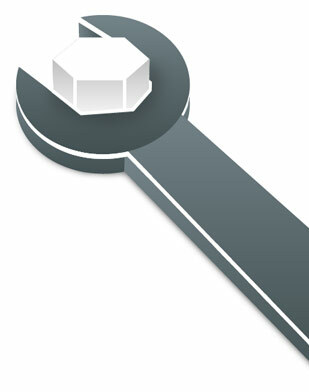 AthTek NetWalk supports network monitoring on all protocols. This means a network administrator can get far more real traffic data during network monitoring. AhtTek Netwalk integrate the advantages of Wireshark and WinPcap to achieve ultimate high performance in network monitoring, packet sniffing and decoding. AthTek NetWalk learns from Wireshark and achieve ultimate high performance in packet sniffing and decoding. 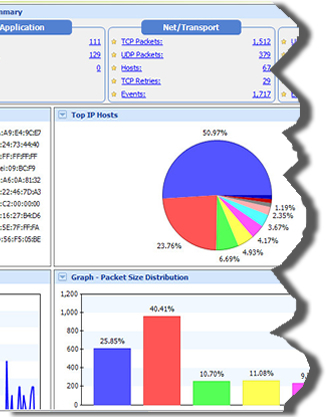 You can see the extremely detailed packet analysis report during network monitoring. A good network monitoring tool should be able to trigger alerts when the network is under attack, just like what AthTek NetWalk can do. The built-in packet filter enables administrator to set events flexibly. 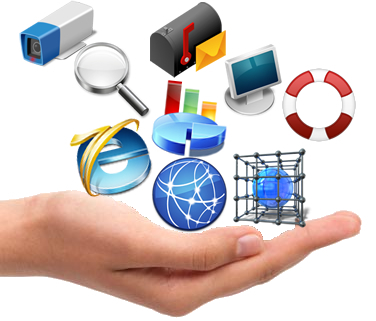 Most of the popular packet sniffers can only decode packet which has been completely captured and saved. With AthTek NetWalk, you are able to decode packet while packet sniffing. 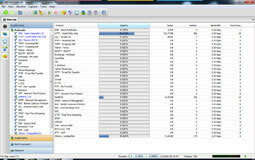 Most of the popular network monitoring tool generate the analysis report separately. This means you are not allowed to view the detailed traffic data from their report. But if you were using AthTek NetWalk, you can switch btween the analysis report and the traffic data flexibly. AthTek NetWalk learns from many pop packet sniffing tool, and optimized the way of network monitoring. It takes the entire network traffic under control, and generate the network status report by visible diagrams. 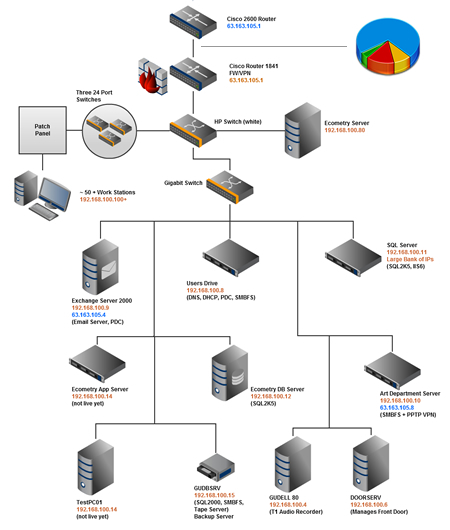 AthTek NetWalk provides detailed network analyzing report with kinds of diagrams. It sort all the network traffic into three layers as application, network and physical. It innovates in packet sniffing and traffic analysis. Network administrators can freely add or remove any chart on the board. All these charts are preset for a quick overview of network. Dynamic visualization components are preser as an visualized way of packet sniffing. Matrix Map is used for displaying the activities of all connections. You can see many IPs and hosts on the circle. click them to view more details about this connection. Green line means it is active, while the blue ones mean inactive but happens. AthTek NetWalk is a comprehensive network infrastructure analysis tool which is professor in packet sniffing. It can helps in managing, maintaining and troubleshooting all kinds of networks. While packet sniffing, all the packets can be easily captured by AthTek NetWalk with one click. Also you are allowed to configure the capturing rules for that. The captured packets can be saved as trace files for further use. AthTek NetWalk supports various traffic trends in graph manager, and they can help a lot in network analyzing. There are some unconspicuous roles in packet sniffing, and you will finally find them in traffic trends. Maybe you have used the service from many packet sniffing tool providers, you must know that all those professional network management tool costs thousands of dollars, even they cannot perform as well as AthTek NetWalk (Only $100 - lifetime). Speciall Offer for AthTek NetWalk, only $499 for lifetime Now! I was greeted by a very pleasant looking program that offered more information about networks than I knew existed. It would certainly help if someone who is heavily dependent on networks... Good job! Just a note of thanks for such a wonderful platform. It has been a pleasure to work with your product. I wish all software developers approached their products like you do. And on top of that your support has been exceptional. I appreciate it and look forward to building the worlds first garage sale network with your awesome software. I tried 7 other "social Programs" and chose you, I mean socialgo, dolphin, etc... good work, keep it up. So far, I have been able to get my site up and running in 12 months with a small budget. If I had started from scratch I don't know how long it would have taken or how much it would have cost. You guys have a great product. I tried many other products and SE4 is by far the best. Yes, there are some minor bugs, but not as many or as major with other products out there, even with the ones that you don't even own or can't put on your own server. Therefore, your group should be very proud of your work; and your customer service surpasses others as well. I'd like to congratulate you on such an awesome product. I've looked around for all options like Dolphin and phpfox and you surpass them all (also backed with your awesome plugins developers). Your company is top notch, always there to help and respond to even the simplest of questions from clients and potential clients. I can't thank you guys enough. SocialEngine has enabled us to bring our business to life. We highly recommend SocialEngine to anyone who wants to start their own online community. I just wanted to thank you guys for producing one of the best products I have ever had the pleasure of working with. I have purchased many pre-packaged solutions, but never one as well thought out and supported as SocialEngine. Just wanted to say thanks for such an outstanding product. We just re-launched our website (www.mitosis.com) yesterday using socialengine and a custom widget we're internally calling "Likked-it" (as a play on reddit). Looking forward to all the improvements you guys have been showing peeks of. Check out what we did with SocialEngine 4. We integrated a "deal" component, among a TON of other cool stuff (custom album/video tweaks, notifications, search functionality, etc.). A killer design brings it all together! It's called Pawsley and we were recently featured in TechCrunch and TIME.com. Overall, SE has been AWESOME. Fantastic job and huge thanks!! !